About Us - Rodix, Inc. 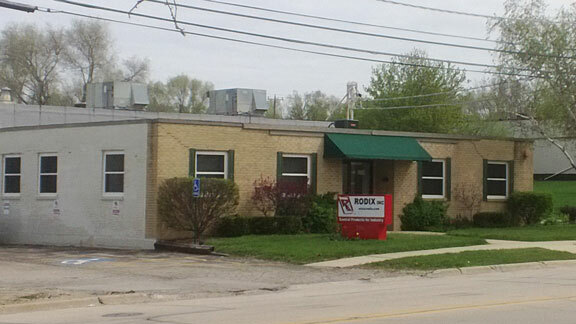 Founded in 1971 in Rockford, Illinois, Rodix designed and implemented one of the world’s first solid state control systems–the MC-600 Machine Control. As technology has improved over the years, the Rodix product line also evolved to stay on the leading edge of advancement. The MC-600 gave way to several new series of controls that were able to replace bulky autotransformers and integrate with the increasingly popular PLCs (Programmable Logic Controls). Among these series were the FC-30, FC-50, FC-60, and the FC-80 controls. The characteristics of these controls ranged from low cost basic controls to units with advanced features, including built-in optical sensors and interfaces for proximity sensors designed to pace the flow of parts from the vibratory bowl to the machine. As technologies have changed and our customers' needs have changed, the Rodix Feeder Cubes have changed. The bulk of our controllers are now microprocessor based allowing for greater flexibility within each product line. Many features that used to require add-on modules are now integral to the microprocessor and can be accessed by a slight board modification. We have expanded our line of variable frequency controllers to include 3 amp, 9 amp, 12 amp and 18 amp models perfect for difficult feeding applications where speed and performance are critical. We have redesigned our line of CE marked controllers into smaller less expensive enclosures while still meeting the required directives. We have interfaced Rodix Feeder Cubes and PLC's to handle applications where the bowl has multiple discharge lanes and requires air valves to activate as the lanes fill up. Over the years, we have designed and built hundreds of custom controls to fit customers' specific applications and we have expanded our product offerings to include vibratory drive bases, inline track drives and bulk storage hoppers. Every Rodix product is designed and built to be as robust as possible. We use straightforward architecture and the best components available so that you can count on peak performance and the longest possible equipment life.